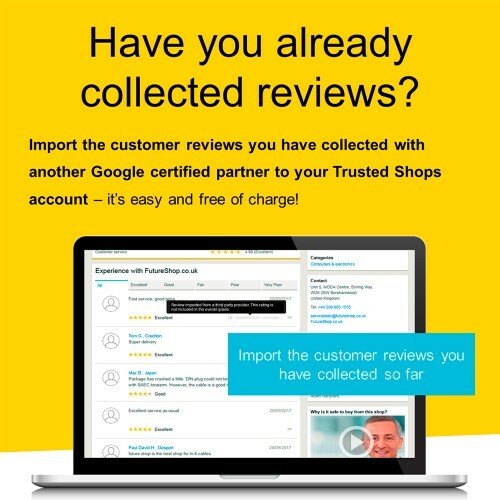 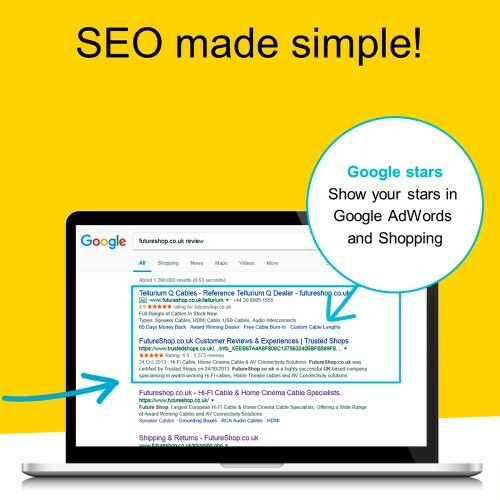 Shop reviews, product reviews, trustmark, Google stars... 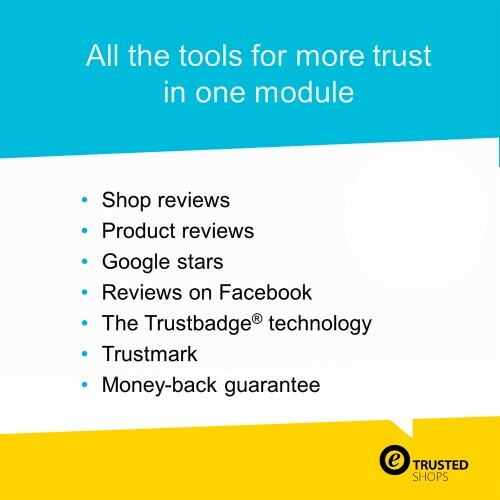 The Trusted Shops module is the best solution if you want to offer your customers security, generate more traffic and boost the conversion rate of your OpenCart-Shop. 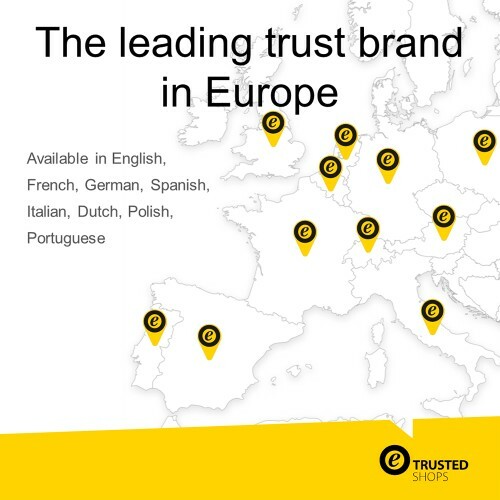 Trusted Shops is the leading independent provider of trust solutions in e-commerce in Europe. 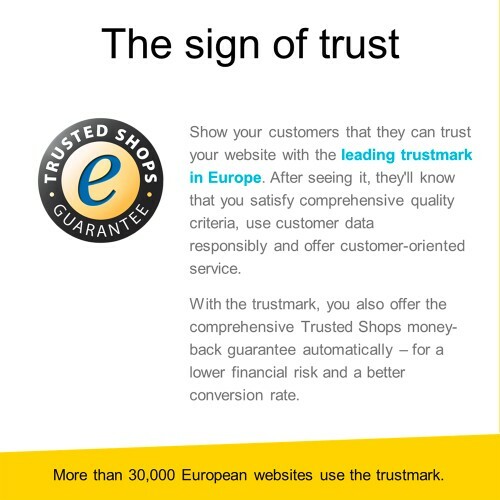 More than 30,000 websites use Trusted Shops to turn customer trust into sales. 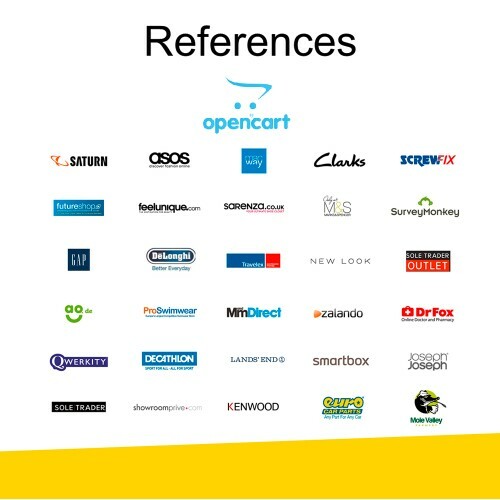 Benefit now from the trust solution used by market leaders like Zalando, Thalia, Obi, Asos, Soletrader, Ugg and many more. 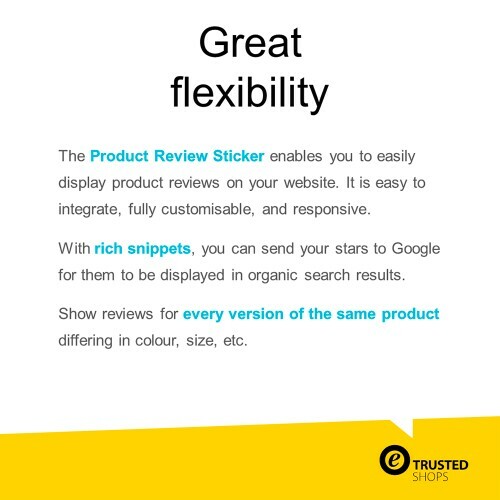 -Manage shop and product reviews easily. 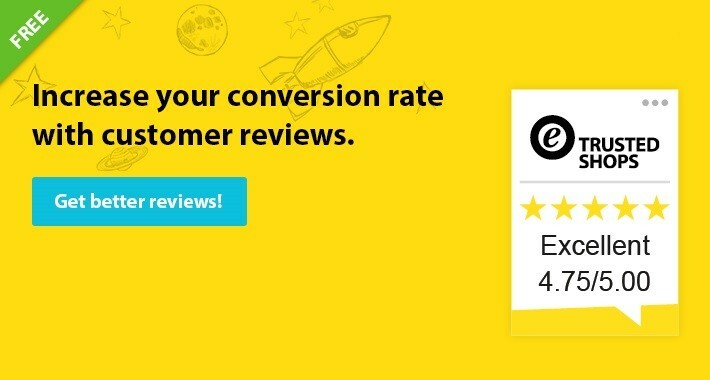 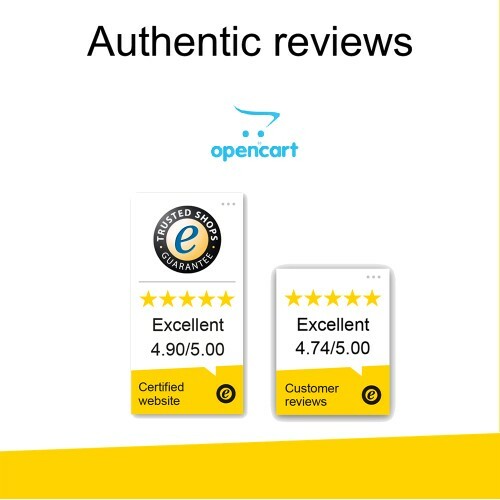 Collect reviews for your Opencart website and your products via e-mail. 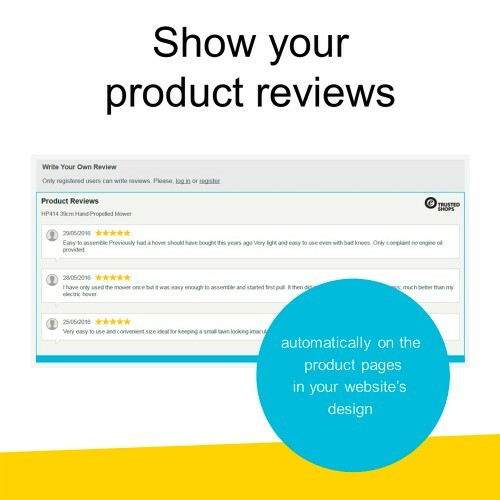 Publish reviews to prove the quality of your online shop and optimise your product range based on customer feedback. 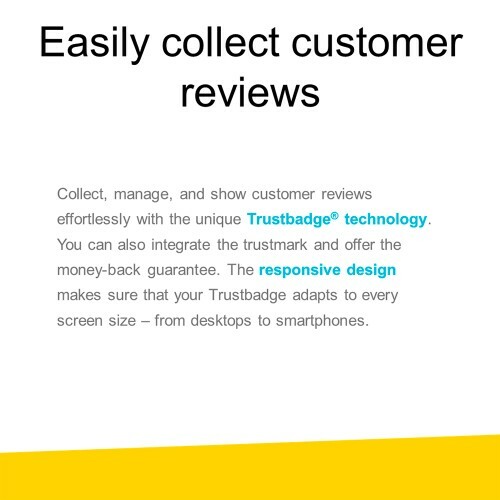 the quality of the customer service, and security into consideration. 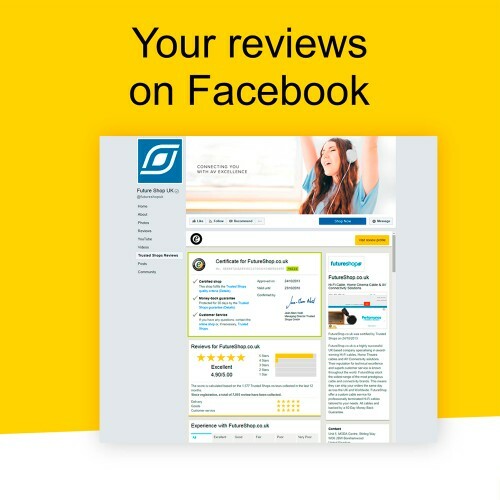 -Integrate customer reviews into your Facebook page. 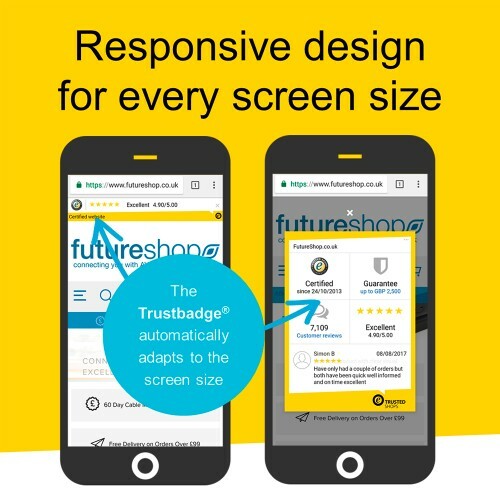 -Responsive design for use on tablets and smartphones. 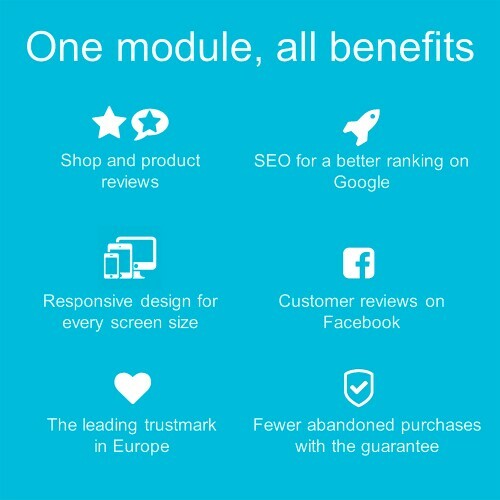 it’s easy and free of charge! 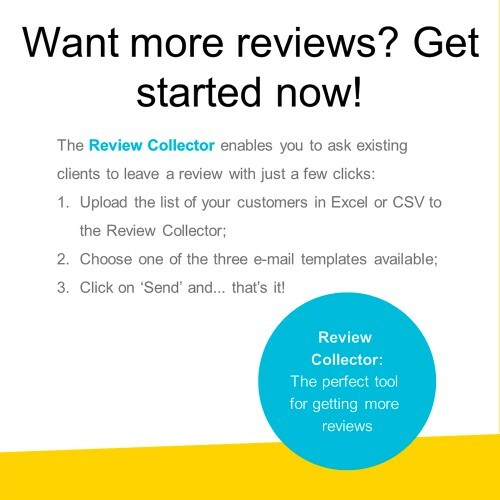 -Manage reviews via our smartphone app. 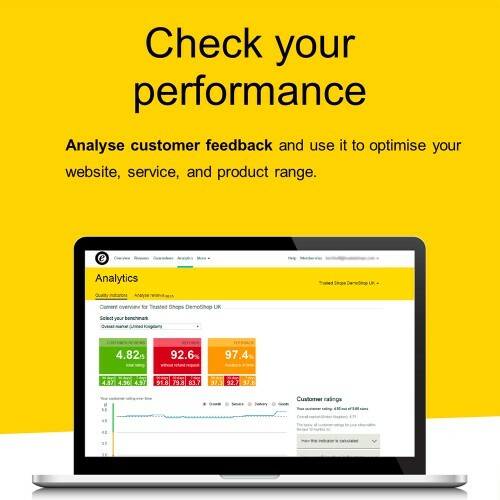 -View how your reviews are performing in your account. 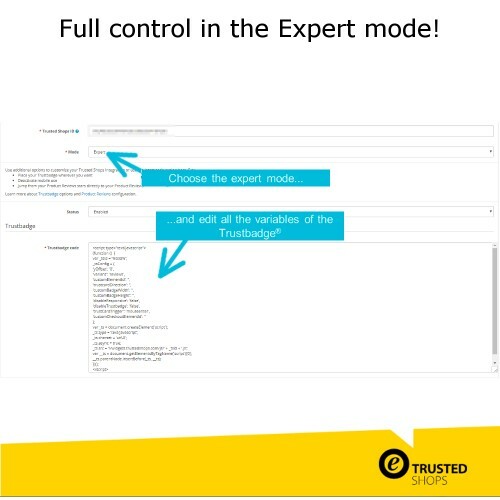 An expert team is at your disposal for legal and technical support and for any other questions about our products. 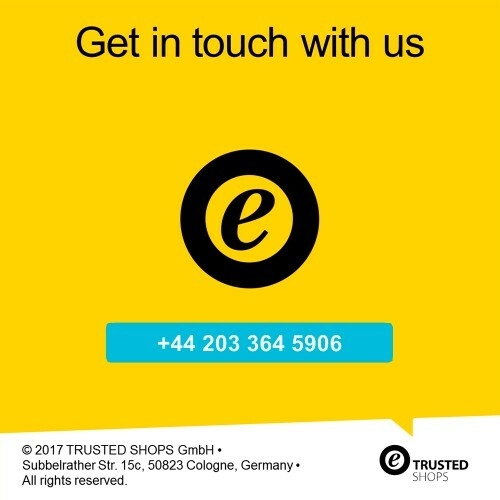 Contact our support team at +49 221 77 536 58 . 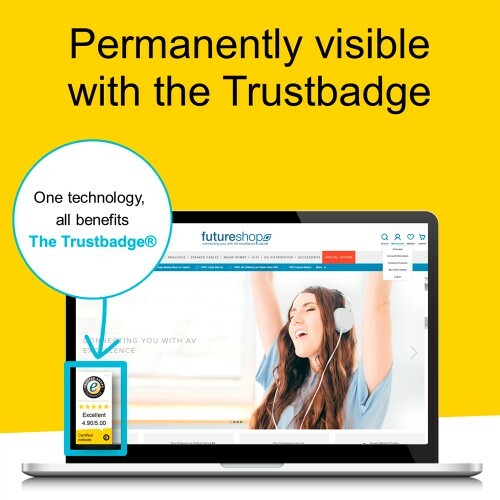 Trusted Shops products stand for real security: you offer your customers guidance when shopping online thereby helping them make the right purchase decision. 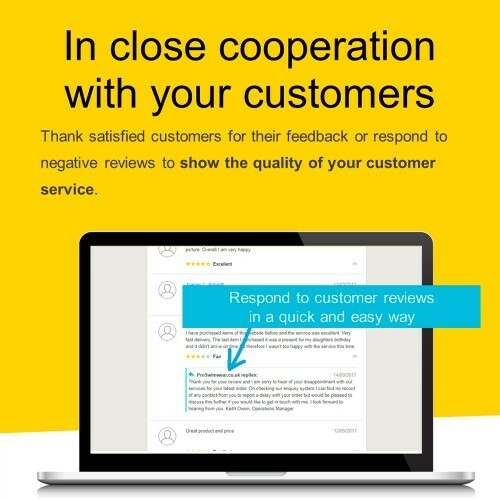 88% of consumers read customer reviews before making a purchase decision. 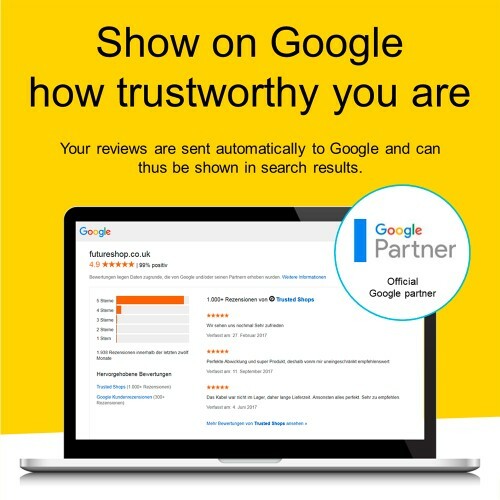 81% of consumers trust customer reviews if they originate from a reputable independent provider. 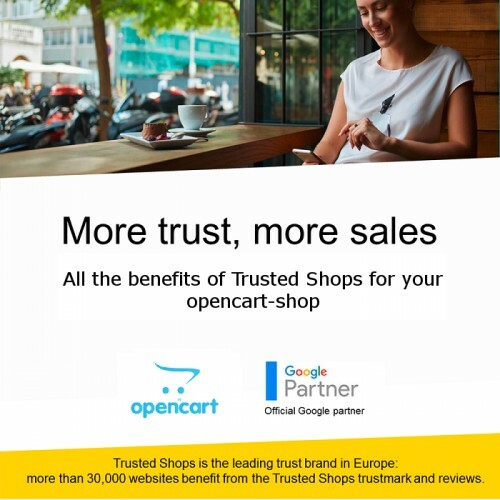 Benefit from the European trustmark for your OpenCart website now. 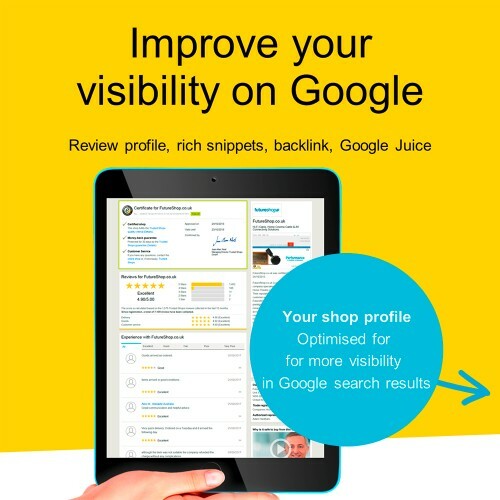 More traffic, more conversions and more customer loyalty are waiting for you! 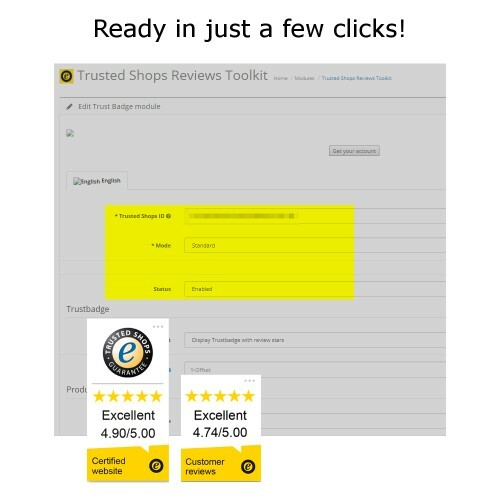 How do I install Trusted Shops?